I don't own mine anymore but the new owner isn't on here and I can't resist joining a foto fest! 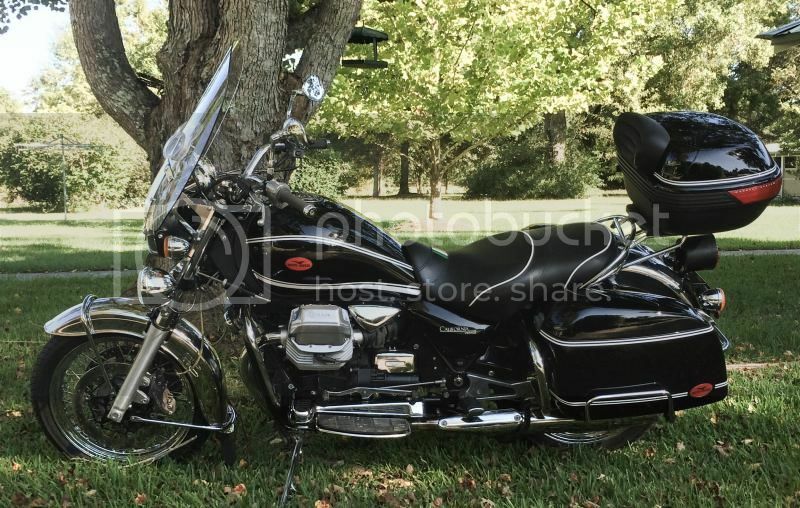 1999 Black Bassa, handle bar set backs, National Cycle Bags and Windshield, Grand touring grips, throttlemiester, my own custom exhaust crossover, Paugcho turnouts, Power commander, K&N air cleaner with opened air box, dynoed at Rice Lake Harley. Also I made the floor boards and Hyway Pegs. Great collection of Californias so far, let's keep this going! 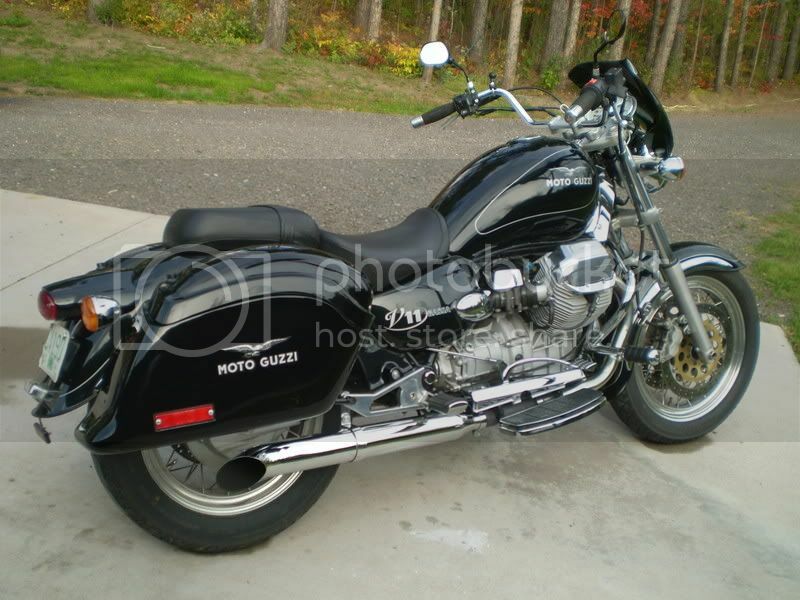 This is my 1999 Bassa, I like the looks of the Bassa but could do without some of the chrome. YSS shocks, Hyperpro fork springs, 5.5mm fully floating Brembos, Harpers floorboards, xover, 30mm SS handle bars. Its my daily rider. I noticed allot of posts on this thread are people in Georgia, we should all get together sometime. I know of two other Bassa owners that are not on this board. One has a pearl white 1999 Bassa, he is also Georga. Another friend has a Black 1999 Bassa. Actually...the small rally idea is not a bad thought. I wonder if we could plan a spot for several Cali owners to meet, with the goal of having at least one bike from each paint scheme/model for the past 10 years or so? It would be a pretty cool group photo! There was a beautiful blue & blue 98 EV at the Georgia Campout this past weekend (wish I had seen it before the batteries died on my camera ::)). 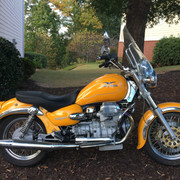 Thanks Atlanta Guzzi, I will live with the chrome until the Vintage's come down in price on the used market. It's probably not too late to find a brand new '07 left-over for a negotiated discount. Saw one on Ebay recently from a dealer in NC that was selling an '07 Vintage with 400 miles on it (demo), but I didn't check to see if it sold. I love mine and am thankful the bank still had money to lend. It's been too long since I've done it but yesterday I was able to go for a nice ride on my beautiful blue and silver Bassa. Man, these are great bikes. 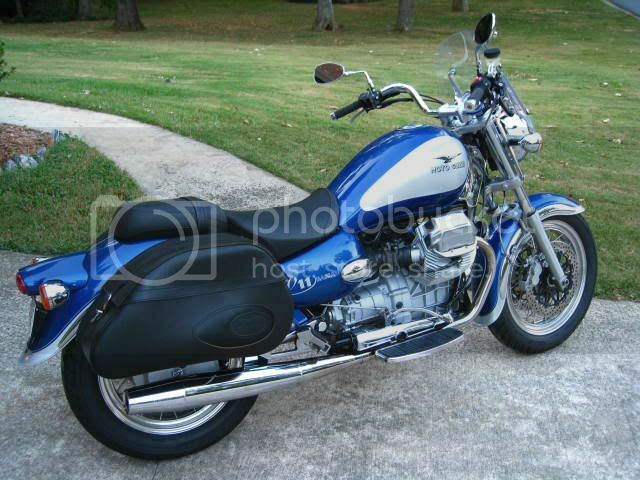 I think of the Bassa, V11 Sport, EV and Jackal as the last of the true Moto Guzzi designed and engineered bikes. Soon after these bikes, Aprilia's influence in design and engineering showed up. 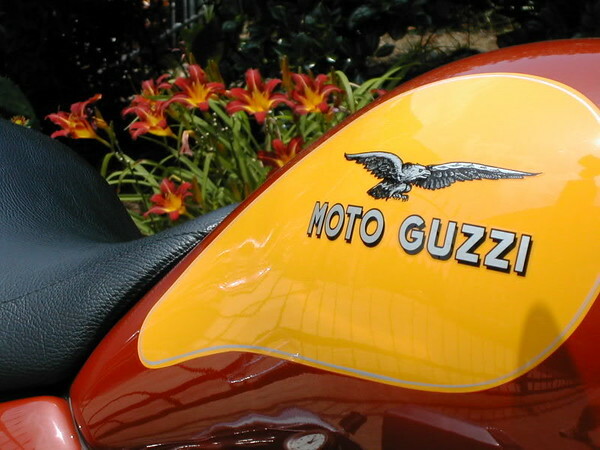 I think Aprilia bought Moto Guzzi in April of 2000. As you mentioned, the model lineup prior to Aprilia's influence was the Bassa (US), Cali Special (Europe & US), Jackal, and EV. Why we saw both Bassa's and Cali Specials in the US for 2000 & 2001 is a good question. I've been told that Aprilia may have made the simple management decision in 2000, following the acquisition, to maintain a single moniker for the bike. ??? At the time this model was the only bike in the lineup that was being marketed under two names for different regions of the world. Following the acquisition, the wave of Aprilia/Guzzi Cali's were the California Special Sports and Stones (both with various colors). Although I also enjoy owning one of the last pre-Aprilia models, I like the Aprilia influenced combinations too. A two-tone black/red Cali Special Sport was almost my first Guzzi. I guess you could say that the vintage is the first Piaggio/Guzzi Cali? Piaggio bought Aprilia (which owned Guzzi) in August of 2004. The Aprilia influenced Cali's were already in production. The US received EV's, Cali Special Sport variants (Aluminum, Titanium), and Stones in 2005, and first "new" model Cali was the Vintage, which showed up in 2006/2007. While writing this post...I just realized that the Vintage could be the last California built in the old factory? stock handle bars for a Alu/Ti Drag Bar set up? I have a black '99 that I bought new, 150 k miles on it, sidecar went on about 15k miles ago. Wow! It's funny how times change. I rarely if ever visit this site anymore, since getting changing jobs, getting married and having a 4 year old to keep me busy. So I get a message out of the blue, check this site, and here is a list I started 9 years ago! I still have my bike...but rarely have time to ride it. I attempted to put it up for sale last year, but was so busy with projects at work and family activities I couldn't even keep up with all the requests for information and interest in buying it it. ....Oh, well. For anyone with some patience, I'll be try to put it up for sale again since someone else would get more more use out of it than me. Send me a note if interested, and this is a fly-by-the-seat if your pants sale. 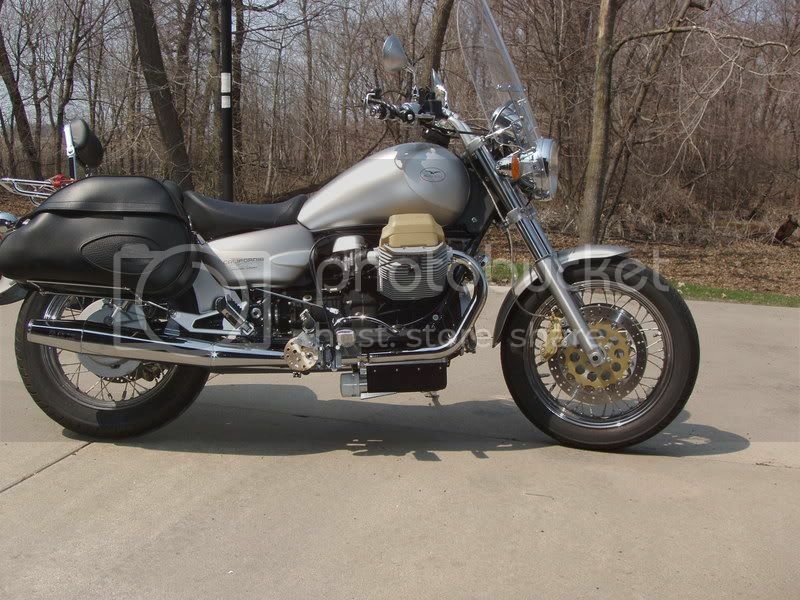 Lot's of Guzzi gear to go with it, but not a lot of time to list it all. Guzzisteve's post this morning and your own checking on w/g, Robert, were pretty darn serendipitous! For anyone musing about following up on Robert's Guzzi, let me assure you from miles of riding with Robert and hours watching him in the GarageMahalo that he is meticulous in buying, owning, maintaining, and all the other "ings" involved in m/c ownership. Whoever gets his Cali will get a beautiful beast from a gentleman of a PO. Robert, Kathi says "hi" to you, Melonie & Ana-Verie. 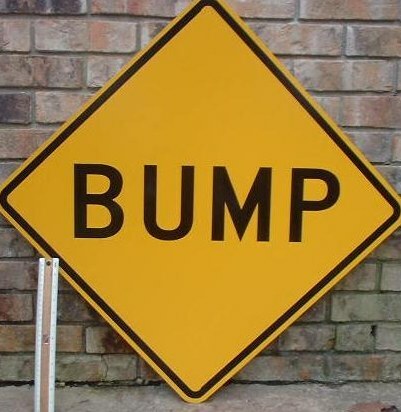 Come up this way and visit sometime! Pretty nice Yellow one Robert has, I didn't know if it sold yet, now we know. Bill & Steve - You're both too kind as always. Also, responding via my phone is now a lesson in grammar skills when using a tiny screen and typing with your thumbs!! This is an impromptu sale, so contact me to discuss and make me an offer. 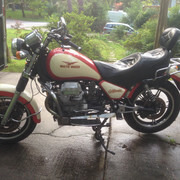 I've got a lot of Guzzi gear from all the years of owning this bike, so if this is something that might peak your interest bring a big truck. Here's my most recent photo, probably from late September. 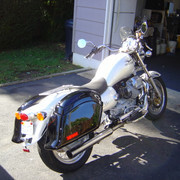 BTW - I have a really sweet Watsonian GP700 sidecar I'll try to post on one of the sidecar websites over the weekend too. Just one of those projects I never had time to complete. The Winchester Moto Sports Bassa sure looks like what I would want...have submitted an inquiry as to additional specifics and will go from there. Thanks to all for the leads. Here's my new California. Not a Bassa, not a Special, not a Cal III, not a Vintage, just a straight up California. Tt's pretty special. It's one of the 15 LeMans powered '91 Californias that Guzzi sent to the US. I'm exploring seat options. The Corbin is nice but man is it tall. Anyone know if a seat from a California Vintage comes anywhere close to fitting?